Mission: We provide men with the tools to model Christlike manhood as they mentor boys on a Bible-based, Christ-centered, Spirit-empowered journey to maturity in the faith. Boys learn to study and apply what the Bible says about integrity, doctrine, biblical worldview, cultural issues and manhood. In addition, the Royal Rangers ministry molds boys into servant leaders, teaching them vital social, equipping, attitude, leadership and service skills. 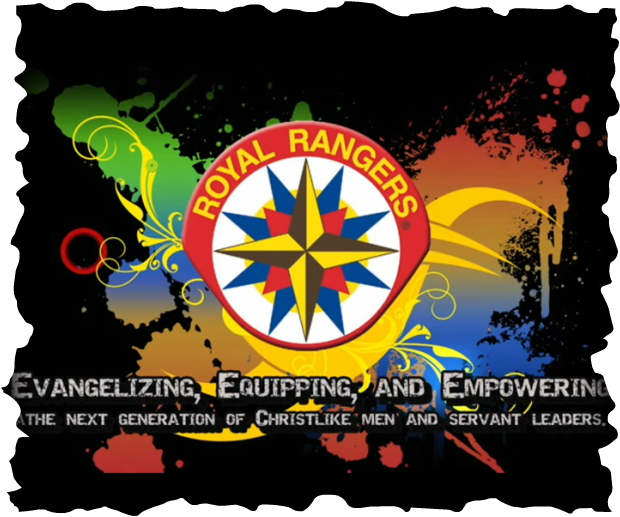 Royal Rangers meet on Sundays from 5:00-6:30pm in the Church House. For more information, please contact Dave Blount at 623-738-9267. The Ranger Kids Advancement Trail is based on the needs, interest and characteristics of boys in kindergarten, first grade, and second grade. The Trail is a plan of advancement through learning—from both experiences and activities—and being recognized for their learning. It is designed to offer every boy adventure and fun. The Trail is more than an interesting course of action; it is a new experience—a new achievement. It is a Ranger’s opportunity to grow through new abilities, knowledge, and desires. To earn each trail’s patch, the Ranger Kid must earn the four awards along the trail. For example, once a Ranger Kid has earned the Antelope Award, the Ram Award, the Caribou Award, and the Buffalo Award, he receives the Elk patch. The boys can earn these awards in any order because they are all of equal value, not based on previous requirements. The individual steps that the Ranger Kid must take to earn each award are directed to help him grow PHYSICALLY, SPIRITUALLY, MENTALLY, and SOCIALLY. After completing each step toward earning the award, the achievement is noted in the Ranger Kid’s Handbook and workbook with the commander’s signature and the date. Here’s how the trail works. As the boy follows the trail, will grow to new heights on the “Trail to the Gold Eagle.” He’ll work on merits, and every time he finishes a set of merit requirements, he will receive a new patch. As he earns merits he will also have the chance to complete a new advancement step. There are several ways to earn the merits on the Trail to the Eagle. Some of the merits will be earned during the weekly meetings, while others will require extra effort outside of meeting times. The merits can be earned in any order, and while the Gold Eagle has specific merits that are required, the other merits that are earned are up to the individual Ranger’s choice. The key to progressing on the Advancement Trail is earning merits. Each merit has a colored border, indicating its color group. After completing a specific number of merits in the required color groups, the Adventure Ranger can earn one of the Advancement awards. For example, the Advancement awards leading to the Adventure Bronze Award are the Powder Horn, Bowie Knife, Tomahawk, and Long Rifle. There are several ways to earn the merits on the Adventure Rangers Advancement Trail. Some of the merits will be earned during the weekly meetings, while others will require extra effort outside of meeting times. The merits can be earned in any order, and while the Adventure Gold Award has specific merits that are required, the other merits that are earned are up to the individual Ranger’s choice. Each award is presented after the young man has earned the specified number of merits in each merit category, as well as the required number of Spirit Challenge lessons.